We Service Truck Drivetrains.Please give us a call at 505-345-3900 if you have any questions regarding our services!!! We are a wholesale buyer of Heavy Duty Trucks. We are NOT your retail buyer! If you want to sell a Truck we will make you a cash offer on almost any make or model (class 7 or class 8) regardless of condition. Are you looking to sell your truck? Jackson Equipment buys all models. Looking to buy? We have a large selection of trucks for sale. Is there is a certain part you need? We carry a wide selection of big rig truck parts. 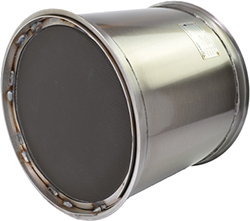 DuraFit™ replacement diesel particulate filters (DPFs) provide equivalent emissions control versus OEM replacement DPFs when installed in 2007 and newer heavy‐duty diesel equipment. DuraFit DPF units offer reduced exhaust restriction compared to remanufactured DPFs and are exact‐fit DPF replacements designed for durability and long service life and come with installation gaskets. 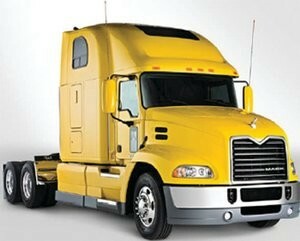 We are a wholesale buyer of Heavy Duty Trucks. We are NOT your retail buyer! If you want to sell a Truck we will make you a cash offer on almost any make or model (class 7 or class 8) regardless of condition. Most of the trucks we buy have had major component failure, have been involved in an accident, or has driven the owner or company to the brink of insolvency or insanity or both. Please give us a call at 505-345-3900 if you have any questions regarding our services!!! Is there is a certain part you need for your big rig? Give us a call we may have it! We offer a variety of Heavy Duty Services including suspension work and transmissions! We carry a wide selection of truck parts, equipment, and offer repairs. Call (505) 345-3900 and ask for the truck buyer. At this time we will ask you several questions about your truck, its condition, its location, and try to give you an estimate of what price we would consider paying for the unit. Copyright © 2019 Jackson Equipment. All rights reserved.